Construction work began on the Northern Parkway Project after getting stalled in 2015. The project is a limited-access freeway that will cut east to west through the West Valley. Officials hope that it will help in mitigation of traffic congestion facilitating an east-west corridor through El Mirage, Glendale and Peoria from Loop 303 to Grand Avenue. Residents of the area can get updates on the project from transportation officials at a community meeting in Glendale conducted by the transport officials. Initially, the Northern Parkway project was planned to sustain the region’s fast growth at least until 2050. But, Maricopa Association of Governments study found that due to the recession the envisioned growth was not happening in that region and hence, officials decided to reduce the size of the project by reducing the number of lanes. 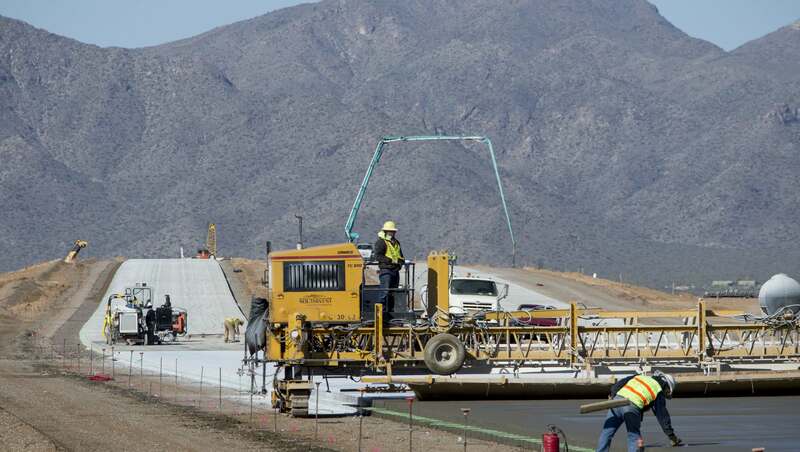 Ben Markert, project manager with the Maricopa County Department of Transportation, said that they would see a great deal of traffic generated in that region over the few decades, but the recession has made them lose at least a decade’s growth. Everyone is hopeful of a different picture of the valley region by the time it reaches to 2050. As per the plan, the parkway will consist of two lanes in each direction from about the 303 to 111th Avenue and on the Agua Fria River Bridge. Though the complete design of the project is yet to be finished, some documents related to the plan states the project could have up to three lanes each way in between the Agua Fria River and Loop 101 and up to four lanes each way at the Grand Avenue. El Mirage Road alternative access north of the Northern Parkway. The final design is scheduled to finish this fall. The full project is scheduled to be completed by 2025, as per the County transportation department. The initial plan was infamous for the controversy that at least six homeowners in the Country Meadows neighborhood in Peoria could lose their homes to make way for the parkway. The new plan has slight changes in the structure, and it now doesn’t have the plan to take anyone’s home for the project. Though, the officials said that some people could lose some part of their yards. Markert said that because of the updated and recent data of traffic movement, they were not anticipating any impacts on the homes in the sense of complete take or relocation. Peoria Councilman Carlo Leone is one of the opponents of the project and he said he still opposes the parkway which would run through his southwest Peoria district. He added even if no one is losing out their homes, losing their yards is enough for him to oppose the project. Leone said that he would be against the project unless there is a vote by the residents of the area or the whole County, or the officials would have to assure him that no one would get hurt because of the project. The whole project was estimated to be costed around $612.6 million, but in the new plan, it was halved to $315.8 million. The project will be taken care of by the Maricopa County Department of Transportation which is funded with regional transportation money and money from Glendale, Peoria, and El Mirage. As per the officials, the stretch near Loop 303 to Dysart roads was completed in 2013, and the overpasses at Reems and Litchfield roads were completed in 2015. As per the plan, the parkway follows Northern Avenue before going north of Luke Air Force Base approaching the 303. On January 16 at 5 p.m. Cities and county transportation officials will have a public open house at Raymond Kellis High School, 8990 W Orangewood Ave in Glendale. The residents can learn about the improvements in the new plan visiting there.